We have teamed up with the Aviation Festival to give exclusive access to Women in Transport members. The Aviation Festival is a world leading aviation & travel focused event, bringing over 3000 International aviation, travel and digital executives, 150 industry leading companies and 20 start-ups together in central London this September. With such a big platform, the Aviation Festival is keen to support diversity in the travel, transport & aviation sectors and will be hosting a Women in Aviation Mixer in association with Women in Transport. This informal networking event will be an excellent opportunity to meet new executives in a range of roles and seniority across the travel & transport industry. 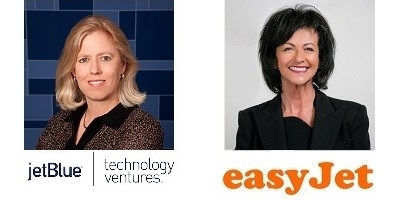 With opening speeches from Bonny Simi, President of Jetblue Ventures and Chris Browne, COO of easyJet, both incredibly successful women with inspiring stories to tell, and over an hour of quality networking, this is an event not to missed. To register as a visitor to the Aviation Festival please click here (This is free and is imperative to gain access to the mixer). In addition to the mixer, there are plenty of other things going on across the 6-7th of September. To find out more about this year's Aviation Festival click here.